-4 and a balmy breeze over the whole thing. You can smell the ocean on the air....its wonderful. I'll bet you were a bit suprised at all the correspondence you got this week. We had thing a little easier and, naturally, I got to write you more often. There is little new; the routine runs pretty much the same from day to day. 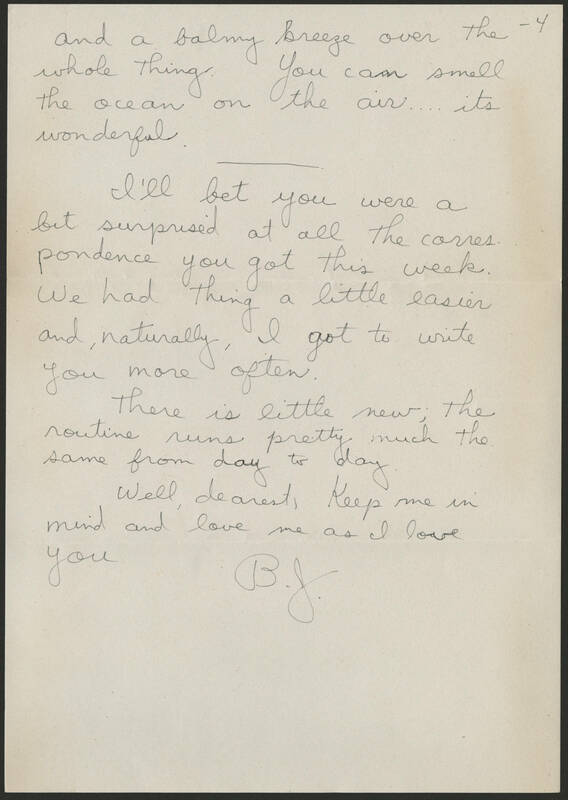 Well, dearest, keep me in mind and love me as I love you B.J.